By materialism, I mean the belief that the totality of all in existence is material. That is, particles/waves/energy in the space-time fabric. If one were to construct a thought experiment that demonstrated there exist things that are independent of matter, then this would weigh heavily against materialism. Take the following thought experiment: Suppose two twins grow up together. Their physiology is identical. Twin A experiences the perception, call it PR, of the color red (that is, the material event, call it MR, of photons of a particular wavelength hitting the retina and stimulating neurons). This twin also experiences the perception PB of blue when the material event MB blue photons hit his retina. However, when the material event MR occurs, Twin B experiences the perception PB. And similarly, Twin B experiences the perception PR when the material event MB occurs. In all outward appearances, both twins can distinguish between red and blue. If an outside observer person "judged" the differences of perception between Twin A or Twin B, it could still be argued that this judgment itself is only the outside observers unique perception. Because we could have either alignment in perceptions or no alignment as in the experiment, with no possible material difference, we argue there exists something independent of the material world. That is, at the very least, perception of color is independent of material. This is far from a new thought experiment, as I've seen popular edu YouTube channels discuss this idea. However, I haven't seen arguments from materialists why this thought experiment doesn't defeat their worldview. So my question is: What name does this thought experiment have and how do materialists respond to it? The famous version of this is Twin Earth thought experiment, which explores two worlds which are identical, except one has no H2O. The H2O in this world is instead replaced with a substance XYZ. Denizens of both worlds call their substance "water." This thought experiment has countless arguments made on both sides. Where is there a detectable difference? If you can't find one, there is nothing here but misleading language. The twins could never identify PB and PR, they would have no words to describe the difference until they had already learned to compensate for it. They could not know it existed. And this is perfectly consonant with existing materialist views of quale. From a well-supported point of view at some level any experience of real quale is basically an emotional event -- a physiological event that we mentally label through attachment to memories as the experience becomes clear in our minds. From that point of view, (often associated with James and Lange) at some very basic level everyone is already just like your twins. Everyone's experience of red is tied to their past experience of red things in a completely unique way, through their cache of memories of redness. So your twins are not unique to begin with. So this is kind of a non-starter as a thought experiment. Since the necessary experiment cannot actually be done, this can't defeat anything. And if it could, it is well accepted that such differences are already handled by the James/Lange mechanism. Twin A experiences the perception, call it PR, of the color red (that is, the material event, call it MR, of photons of a particular wavelength hitting the retina and stimulating neurons). Can you define "perception"? Is it a material event? It is a valid materialist position, if not the materialist position, that "perception" is not an atomic concept, but is simply a higher level descriptor of lower level events. So, for instance, if there are similarities in a person's reactions when seeing red, then we can talk about the commonalities with the term "perception". The word "perception" serves solely as a shorthand for talking about these commonalities. If there is no commonality, there is nothing to describe. There is not some abstract "perception" that exists independently of material events. If you claim there is some X that does not in any way affect how someone acts, a materialist would say "Well, if you want to imagine that X exists, that's your right, but the fact that you're imagining some non-material phenomenon does nothing to contradict my position that these phenomena don't actually exist." If someone claimed that unicorns don't exist, would some thought experiment in which you imagine them existing contradict them? In the real world, the only time we talk about people's "perceptions" differing is when there are material differences. So you are using the word "perception" in a way that differs from how it is usually used. You may believe that this is a valid extension of the term, but a materialist would disagree. Just because both you and materialists agree that "perception" is meaningful and existent in one domain, does not obligate them to accept your extension of the term. You seem to be engaging in unwarranted generalization. You have a certain conception of "perception", and materialists have a different one. In normal circumstances, your conception is enough of an approximation of the materialist one that they appear to be the same. However, there are subtle differences, and once you try extend to this thought experiment, the meanings diverge. You are assuming that because materialists accept your use of "perception" in normal usage, that they have the same core conception, but that is false. Materialist agree that your conception of "perception" can be interpreted as referring to something that exists, but once you say that you are using "perception" to refer to something that has no material effect, a materialist will no longer agree that it is referring to something meaningful. ...describes your thought-experiment already. With this we can verify that two different people seeing the exact same image, can perceive the colours differently. You object to this of course, and state that you wanted the twins to be identical. But this is not something that we can achieve in our present reality. We can — at best — get very similar twins, but never identical twins. What if we have a purely hypothetical situation, where two identical inputs into a scenario gives two different outputs, for no readily apparent reason. Does that invalidate materialism? So no, even if this hypothetical situation occurs it does not disprove materialism, because the causes can still be material. Construct an experiment such that Twin A adjusts levels of light wavelengths λX and λY until the blend is - to them - completely indistinguishable from wavelength λR - the wavelength that they perceive as Red. Then, present multiple copies of these 2 physical wavelength constructs - aλX + bλY and λR to twin B, and ask twin B to separate them into 2 groups based on colour. Thank you for all the answers and comments. For my sake and the sake of others, I want to catalog the objections. (1) The thought experiment cannot be carried out, so that makes it a non-starter. (3) Imagined possibilities in general do not imply real possibilities. (4) Perception of color is tied to emotional perception and emotional perception is dependent on the sum of all experiences. Human perception is known to be unreliable and occasionally faulty. This supposed problem is not a significant concern. A materialist would simply reply that either PR or PB is inconsistent with reality, and further data would be necessary to determine which is inconsistent. A materialist would ask: What is the wavelength of the light observed by the twins? If it is not known, how was it produced? If the wavelength is known or reproducible, the materialist would then identify which twin had faulty perception. If the wavelength cannot be determined after the fact, then there is no way to know the actual color of the light during the event. Disclaimer: Wavelength is a property of light, but color is not. Color is a percept. In a certain strict sense, you could argue that both twins are correct, and that their perceptions map to different real properties. This is a bit disingenuous if we accept the assumption that everyone agrees "blue" is 450-495 nm light and "red" is 622-780 nm light. That assumption is necessary to imply any sort of contradiction in the twins' stated observations. 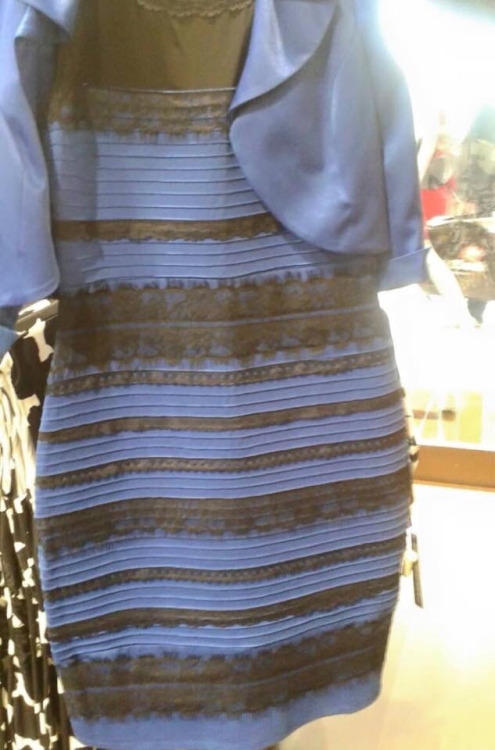 This thing is that nobody argues that colour is a strictly material property. Like many things in nature colour perception is an evolutionary bodge to allow organic brains to make sense of a continuous spectrum of visible electromagnetic radiation. There is no real concept of colour in physics as in deed there is no real concept of colours outside of visible light, we don't ascribe different colours to x-rays or radio waves simply because humans don't have the biological mechanisms to detect them directly. Equally humans perceive three primary colours because (most) humans have three different types of wavelength sensitive cells in their eyes and even then they are not really red/yellow/blue as such but more blue/green/orange and the brain does a lot of post-processing as it does with all aspects of vision and even in a specific brain colour values are relative compare to the colour values in an overall scene. So any though experiment revolving around vision is already on shaky ground because the neural processing mechanisms are complex and still relatively poorly understood and certainly counter-intuitive. Equally if human vision were just monochrome, which is pretty easy to imagine and indeed a reality for some people I'm not sure that make any major difference to the philosophical basis for materialism. The fundamental question is whether consciousness is a material process, determined by the same physical laws as all matter or something different. Sight as we know it is a hallucination generated to guide the conscious mind through the world. How colours are perceived are a part of this, and so their existence is simply a different mapping within our brain. I think it's a reasonable assumption that most people see colours differently to each other - your blue is my red, etc - as otherwise individuals brains would be generating the same hallucination across the board, which would be far too regular to be realistic in my opinion. Think of it like this. Imagine a wall is made up of different coloured bricks, and they are arranged in horizontal layers so that we see stripes of blue and green. Someone comes along and rearranges the bricks so that one half of the wall is blue, and the other half is green. Someone seeing the wall prior to this event would swear it was green and blue stripes, and someone seeing the wall afterwards would swear it was half blue, half green. It's merely a rearrangement of the existing material goods, forming a different subjective experience to the individuals. You are confusing perception with truth. As a strict materialist, I would not care about what one person calls "blue" and the other calls "red". For all I know, they might just speak different languages. The measured wavelength is the true fact, and it is the same for both of them. The rest of the thought experiment is simply a curious setup. You could also train a person from childhood to call "red" what everyone else calls "blue". The point being that the perception has no effect on the material world. You are trying to extend materialism into the mind, and that is fine per se. In doing so, however, you simplify things too much. You label "perceiving something as (word)" as an atomic entity, which it is not. We know a lot about the physiology of perception, and it is quite a complex process even before you add language into the mix. There are a dozen ways in which different people can perceive the same colour in different ways. None of them are immaterial or esoteric. A materialist would go down the list, maybe adding another item to it that needs further research, but nothing whatsoever in the thought experiment you describe is in open conflict with materialism, unless you somehow prove that no physiological or psychological explanation for the difference can apply in principle - but then you are basically back at square one, to make the thought experiment work that proves your point, you first have to prove your point. I don't know whether I am a materialist according to your definition or not. But I find something else strange in your argument, different I think from the other objections. You claim that twin A's experience of MR can be compared to twin B's experience of MR, in such a way that it's meaningful to say whether they're equal or not. In other words, you have these objects PR and PB, which can exist as part of either person's experience. It's not obvious to me that this is the case. To expand on this, let me write P(A,MR) for twin A's perceptual experience of light from a red object hitting the retina, and similarly P(B,MR) for B's experience of the same scene. Your premise is that P(A,MR)=P(B,MB)=PR and P(A,MB)=P(B,MR)=PB. Others have objected on the grounds that a person's subjective experiences don't exist or can't be meaningfully defined from a materialist perspective. My objection is that even if these things can be meaningfully discussed, it doesn't follow that we can compare them in this way. In other words, P(A,MR) is part of person A's experiences, whereas P(B,MR) is part of person B's experiences. What's to say that these aren't two completely different spaces? If they are, then we can meaningfully make claims like P(A,MR)!=P(A,MB) ("person A can perceptually distinguish between red and blue objects"), but claims like P(A,MR)!=P(B,MR) ("person A's experience of red objects is different from person B's experience of red objects") are not well-formed and have no truth value. Indeed, this unknowability is a premise of your argument. I think that if a materialist were to accept your premises that P(A,MR) and P(B,MR) both exist and that they cannot be distinguished experimentally, then they would be forced to conclude that what I say above is the case, that a claim about whether those objects are equal is not a meaningful one. Although I don't consider myself a materialist, I perceive your thought experiment as fundamentally flawed and a very poor attempt to prove that at least the "perception of color is independent of material." Your logic fails because you are assuming that when MR is presented to twin B, he experiences PB (which is different from PR). 1 - The only way your assumption could be true, is if twin B's "perception system" is "wired" differently than twin A. This would be a material difference! 2 - If the twins have no material difference ("wired" the same), then twin B would experience PR (same as twin A), when presented with MR! The only conclusion is that the perception of color is not independent of material! Not the answer you're looking for? Browse other questions tagged consciousness materialism thought-experiment or ask your own question. How does Materialism provide response to the kantian split between noumena and phenomena? How can one say that only matter exists without presupposing the idea of existence/being? How would a Utilitarian and a Kantian solve this thought experiment?